Humans all begin the exact same way. We start our life out as a zygote, the fertilized egg in our mother’s uterus, 46 chromosomes that will determine everything from eye color to height and that help to influence our intelligence and who we are individually. By the fourth week of pregnancy, the zygote has turned into an embryo and will begin developing what will become its brain. The brain begins as the ectoderm, which is the top layer of the now three-layered embryo, and will develop into the neural tube which will close by week six. At ten weeks gestation, the new brain will begin forming neurons at the rate of 250,000 per minute, according to the article “Fetal Development: What Happens During the First Trimester?” on Mayoclinic.com. At the 16th week, the fetus’ eyes are becoming sensitive to light, and at week 18, the fetus can hear. By the 28th week, the fetus’ eyes open. Why does this matter? Many mothers believe that their interactions with their unborn child can have an impact. Some parents even go so far as to parent in utero — reading and talking to their unborn child, already loving their baby deeply before even meeting him face to face. Research now shows what these parents already knew; parents influence their child’s psychological development from very early on. According to the article “Early and Very Early Parenting” by William Sallenbach, PhD, on BirthPsychology.com, as early as 1920, psychologists began studies involving prenatal learning. In a case study, prenatal learning was observed especially in the last trimester of pregnancy. By reading, singing, or even just talking to her unborn child, a mother begins their bonding experience early on. Research shows that fetuses even recognize their mothers’ voices when they hear it in the womb. These findings indicate “that in-utero experience has an impact on the newborn/infant behavior and development and that voice recognition may play a role in mother-infant attachment,” as noted by Barbara Kisilevsky in the article “Mothers Voice Triggers Fetus Heart Rate Increase” on AphroditeWomensHealth.com. At only week ten of gestation, a fetus’s neurons are forming at the rate of 250,000 per minute. By birth, a baby comes into his parents’ arms with about 100 billion neurons, each with about 10,000 branches! This is according to David Allen Walsh, PhD, in his book, A Survival Guide to the Adolescent Brain for You and Your Teen. 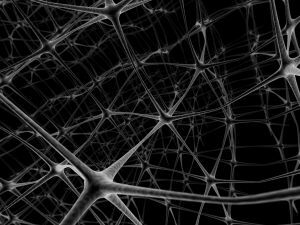 These neurons have great significance in that they send and receive all of our body’s messages. Fore example, as you read this article, your eyes see the words and transmit those images to your brain via neurons. Once that message reaches the brain, other neurons move the transmission along to the area of your brain that can translate the word images, so you can see and understand what you are reading. If we all have the same neurons being built in our brains, why aren’t we all more alike? The reason is simple: Each different life experience builds a new pathway in our brains. The more experiences you have in different areas, the stronger the pathways. This is why, as an adult, driving becomes second nature, whereas it was something that took great practice when we were teens. Many adults have spent so much time driving that the brain and nervous system take it on as a part of the normal daily routines and build pathways that allow us to drive as if it was a reflex — a kind of built-in spontaneous response to a known stimuli. This is what happens with everything a person learns to do well. As a child grows, he is learning what they live. If children are raised in a nurturing environment, the child learns to nurture and love. If they are raised in a home where a strong emotional parent-child attachment is not present, the neurons in the brain will build pathways that develop reflexes for protection. Thus, much of the behavior a child develops is due to his or her upbringing. It is important to remember that all experiences change us. For example, an abused child will never be the same child he was before the incident of abuse. It’s the same for a child in an otherwise loving family who is exposed to a stressed-out, angry parent who acts out her frustration in front of or toward the child — a scenario seen in nearly all homes from time to time. While a poor parent-child interaction certainly affects the child, the effect can be repaired — even in families that have a regular pattern of these less-than-ideal interactions. The brain does retain the old pathways, so the child’s future will always be colored by his or her past, but with consistent attachment-promoting tools, children eventually learn compassion, empathy, trust, and other traits of a healthy, loving relationship that children raised with Attachment Parenting (AP) since birth began learning early on. Knowing how important the early years are to brain development fully supports AP. Trust, love, and understanding are all important to teach through example to our children as they develop. As parents, we must work hard those wonderful, yet exhausting, first years of learning to communicate with one another with more than just words. An infant knows only to cry, and through our actions, we teach them what response that brings. When we respond quickly, appropriately, and consistently to our newborns cries, the neurons are formed in the brain showing that the next time the infant is hungry, he should cry and the parents will satisfy his need. If the baby’s cries are ignored, the neurons formed show that the cry may or may not be answered. These early brain connections build the foundation through which a child will govern his life. They make us who we are and who we will become.